Beach fun is the ultimate entertainment, you dream about it during the cold winter months. Sun shining, sand under your feet, warm wind breeze, playful waves and a chaise-long. The kids never want to leave the water, these waves are simply too awesome to miss. Even though they can swim just fine and there’s also a lifeguard in sight, you just can’t shake it off and relax without checking up on them every other minute. Say goodbye to that mistery novel you longed to dive in before this holiday, or simply closing your eyes in full tranquility. 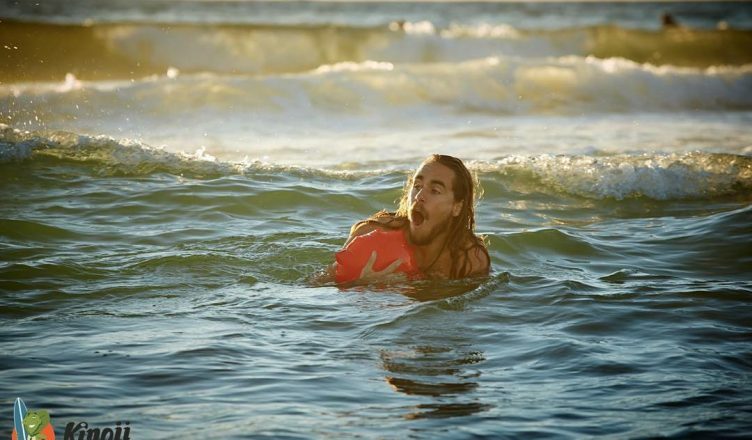 The danger of drowning lurks around the corner and you know how difficult it is to spot a drowning person. Kingii wearable is a bracelet you can wear while going in the water. When in need, just pull the lever and you have a lifebuoy in 2 seconds to support you until safe. I believe this is something an adult doesn’t really need unless in extreme situations, like extreme sports, stormy sea, ocean or flowing river. 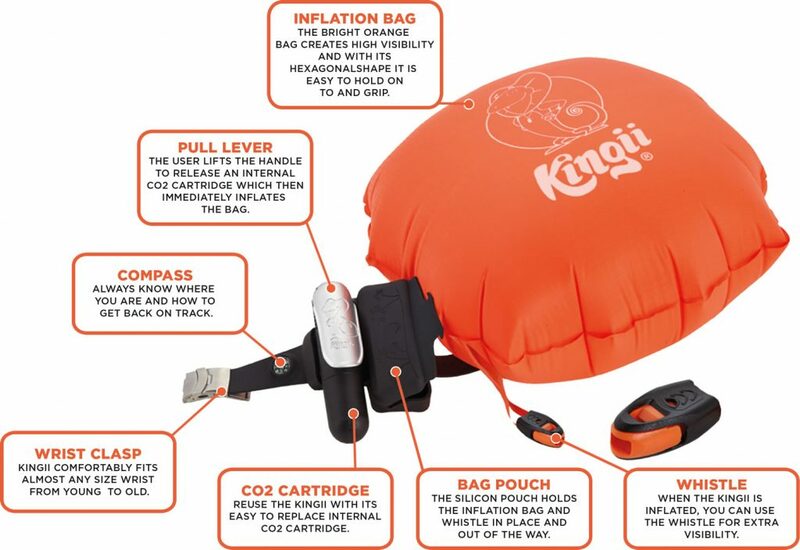 While drowning situations are quite rare and thus the chance to pop it open is small, Kingii can definitely bring peace of mind and stress diffusion when having kids in the water. Our opinion: in this day and age, stress is the main culprit for a lower quality life, therefore we embrace Kingii not for what it can do for those wearing it, but for the peace of mind it brings to the others.